How to Delete APPs on iPhone by Name? How Find and Delete APPs on iPhone by Name? How to delete one single APP on iPhone X if you're having hundreds of APPs? When I need to use Tinder or Smule, many other SNS APPs on iPhone are confusing me and I won't arrive at Tinder or Smule in 10 seconds. Besides, with countless different apps, even i want to delete one or two, i will be at sea finding the location of those naughty ones hiding among multiple layers of multiple springboards. 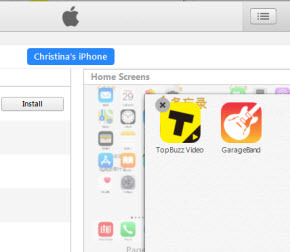 If the same is true with you, take a look at the method below to delete APPs by name on iPhone X, iPhone 8/7 or earlier so as to free up more space for the interesting Game APPs for iOS 12. Why you want to delete APPs on iPhone X? How much space does an iPhone APP take up on your iPhone X and how many of them are squeezing in your limited storage space? If you're an enthusiastic AR Game player, chances are that you'll really need to delete some less frequently used iPhone APPs on iPhone X. By and large, a general augmented reality APP on iPhone takes up roughly 50 MB to 100 MB, with game data aggregated, it's all the more possible that any single iPhone X APP can take up more than 100MB of space on your iPhone, thus driving the device all too crammed for more newly-cranked out APPs which users would like to give them a spin. Therefore, we suggest you delete APPs on iPhone X now and then so as to make sure at least 10GB of free space is available. How to delete APPs on iPhone, then? This article introduces the top 3 ways to it, now check out. If you're currently going with iOS 12, going to Settings > General > iPhone Storage > Show All >	Enable "Delete unwanted APPs" can help you delete unwanted APPs automatically while keeping all your documents and data on iPhone in case you need to use them later. However, if you are running iOS 10 or earlier, all APP data (including personal info, photos and song recordings, files will be deleted as long as you choose to delete an APP from iPhone). If you still need that part of data on your iPhone, make sure you use the best iPhone backup software to save a copy of the content you need all from the start. * Default iPhone APPs that come along with iOS 12 or earlier can't be deleted. * Learn to transfer APPs to new iPhone, if you're not satisfied with the current APPs you're using, here we recommend top 8 augmented reality APPs worth downloading and simply the best game APPs for iPhone you shouldn't miss. Method 1. Use DearMob iPhone Manager to delete photos on iPhone by name. Step 2. Click on "APP" tab and you will be directed to APP management panel. Step 4. 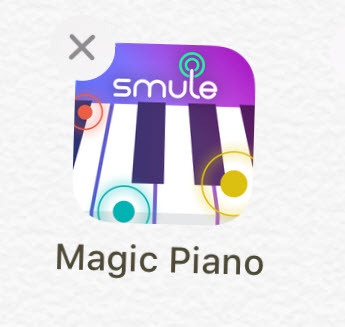 Select the App and click Uninstall button. The majority of iPhone APPs can be uninstalled from your device with a simple tap-hold-wiggle gesture, except for those default APPs like "Find My iPhone, Photos, Camera, Time, Wallet, APP Store, and Health Data" which are going to live on your iPhone until Apple decides not. That been said, all you need to do to delete APPs on iPhone is to hold to the very APP you wish to delete until the small "X" on the top-left corner appears, tap on it, one after another, and by the time you've successfully removed all APPs unwanted from iPhone X, tap one the homescreen button to return where you were. Tips and Notes: APPs on multiple screens can be deleted when you skip screens. Method 3. Delete an APP from iPhone by Visting "Settings"
In the Settings menu Apple provides a more flexible way to delete APPs on iPhone X: You can choose to delete either the APP or the APP data only. 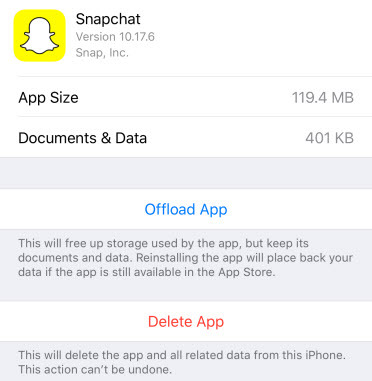 Step 2: To delete Snapchat APP from iPhone X, hit on Delete APP. To delete the APP temporarily while keeping all its data on iPhone so that you may reinstall later, click on "Offload APP". Rather than removing an APP from iPhone on the device alone, iTunes for Windows/Mac offers a workaround to help you manage unwanted APPs from the computer, and here's how you can delete an APP on iPhone X with iTunes. Step 1: USB connect iPhone to Windows 10/Mac, launch iTunes and tap trust for your iPhone X to help iTunes recognize it. Step 2: On iTunes, click on your device icon > visit APPs, and then the "Home Screens" window displays to you all APPs that you currently have on iPhone X. Click to zoom in to the very	screen, hover your mose over the very APP to be deleted > Sync > Done. Wait for a few seconds for the APP to be wiped out on your iPhone. Before trying to delete APPs on iPhone, first make sure either you want to delete the APP with data remained, or that you want to wipe out everything associated with this APP. 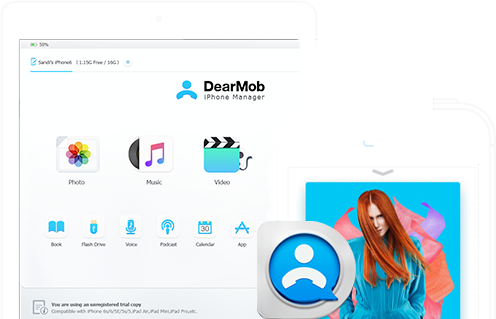 DearMob's iPhone Manager provides the easiest way to manage all APP data as long as you connect iPhone to computer, now click to download it! Looking for professional photo editing apps for Mac or just some basic simple photo editor tools to bake colors into your pictures? Here you will find them all, from free Photoshop clone - GIMP to simple editor - Pinta. How to get photos off iPhone to Windows 10 computer when the iPhone 8/7 Plus is running out of memory? This page recaps top 4 ways to transfer photos from iPhone to computer (Windows 10/7/8.1). Is your iPhone X facing touch screen not working problem like screen ghost touch or unresponsive screen? Apple now is offering free repair program to help fix the issue.